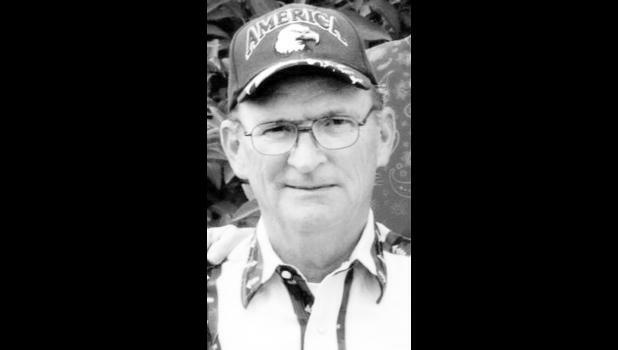 Joe C. Handley, 80, Topeka, passed away Tuesday, June 5, 2018, at Midland Hospice House. Joe was born the son of Clifford (Tip) and Gladys (Deeringer) Handley on March 29, 1938, at his grandpa and grandma Deeringer’s home just a few miles east of his parents’ home. Joe graduated from Auburn High School in 1956. He served in the United States Army for six years. He was employed at the Goodyear Tire and Rubber Company in Topeka for 42 years before retiring. He was a member of the #307 Rubber Workers Union and the Topeka Moose Lodge. Joe married his high school sweetheart, Faye Brobst, on Oct. 25, 1958, in Auburn. After their marriage, they purchased a house located near his original birth place and have made their home there of more than 57 years. Survivors include his wife, Faye; children, Tammy (John) Hill, Holton, Scottie (Melissa) Handley, Topeka, Gregory (Rhonda) Handley, Grantville, and Tracy (Henry) Hill, Holton; grandchildren, Brandon (Rachel) Hill, Cody (Dana) Hill, Jason Handley, Morgan (Levi) Starkey, Christa Hill and Billy Joe Hill; great-grandchildren, Ryan, Jaxon and Conner Hill, Ashtyn Hill and Stetson and Colson Starkey; a sister, Cyrella Birtell, Overbrook; and a brother, Chuck Handley, Overbrook. A funeral service will be held at 11 a.m. Saturday, June 16 at the Auburn Community Center, Auburn. Burial will follow in Auburn Cemetery. The family will greet friends and relatives from 9 a.m. until service time Saturday at the community center. Memorial contributions may be made to Shriners Hospitals for Children, Auburn Community Center or Midland Care Hospice and sent in care of Carey Funeral Home, P.O. Box 196, Burlingame, KS 66413.